Sydney Theatre Company (STC) is one of Australia’s best-known theatre companies and has been a major force in Australian drama since its establishment in 1978. The Company presents an annual twelve-play program at its home base The Wharf, on Sydney’s harbour at Walsh Bay, the nearby Sydney Theatre, which STC also manages, and as the resident theatre company of the Sydney Opera House. The STC has launched and fostered the theatre careers of many of Australia’s internationally renowned artists including Mel Gibson, Judy Davis, Hugo Weaving, Miranda Otto, Geoffrey Rush, Toni Collette, Rose Byrne and Cate Blanchett herself. In November 2006 Sydney Theatre Company announced that husband and wife Cate Blanchett and Andrew Upton would become co-artistic directors, beginning in 2008. Cate and Andrew have now been working together, day in, day out as co-artistic directors of the Sydney Theatre Company for over two years. Cate already had a long history with the STC. On graduating from NIDA, she joined the company production of Caryl Churchill’s Top Girls, then played Felice Bauer, the bride, in Tim Daly’s Kafka Dances, winning the 1993 Newcomer Award from the Sydney Theatre Critics Circle for her performance. From there, Blanchett moved to the role of Carol in David Mamet’s searing polemic Oleanna, also for the Sydney Theatre Company, and won the Rosemont Best Actress Award, her second award that year. Needless to say, it was the STC that launched her career as an actress. Cate and Andrew have been credited with bringing international film and theatre directors into STC productions, including Oscar-winning director Steven Soderbergh and actor Philip Seymour Hoffman. They also secured the patronage of Italian fashion icon Giorgio Armani. “It is a really great privilege to lead Sydney Theatre Company,” the couple noted. In late 2010 an array of 1906 solar panels on the roof of The Wharf on Sydney Harbour were switched on by the company’s artistic directors, Cate and Andrew. The rooftop solar power system is the second largest in Australia and will produce enough energy to power 46 average homes. “It’s about bringing the building into the 21st century, Cate said. “We were looking to reconnect the company to the city and we were looking to make it cutting edge again. Andrew came up with a great idea and said, ‘What if we bring it into the 21st century and make it green? '” Upton said the solar panels were a gesture to Sydney. “I think we both sensed that this roof above our heads was a real resource because it is out there in the open and it is a very public roof… it’s a really key part of the city, on the harbour,” he said. 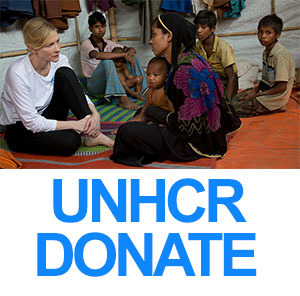 © Cate-Blanchett.com Do not re-post without our expressed permission.